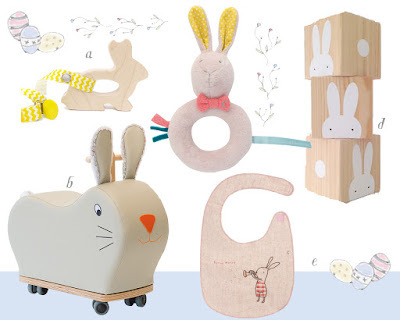 The first in a series of posts I will be sharing over the next few days, showcasing a range of gifts and treats on an Easter theme. To kick off, here are some of the loveliest things around for a baby at Easter. A couple of them are available from me, others are things I have discovered from other shops and designer makers - all the details are beneath the image.